My most memorable hikes can be classified as 'Shortcuts that Backfired'. 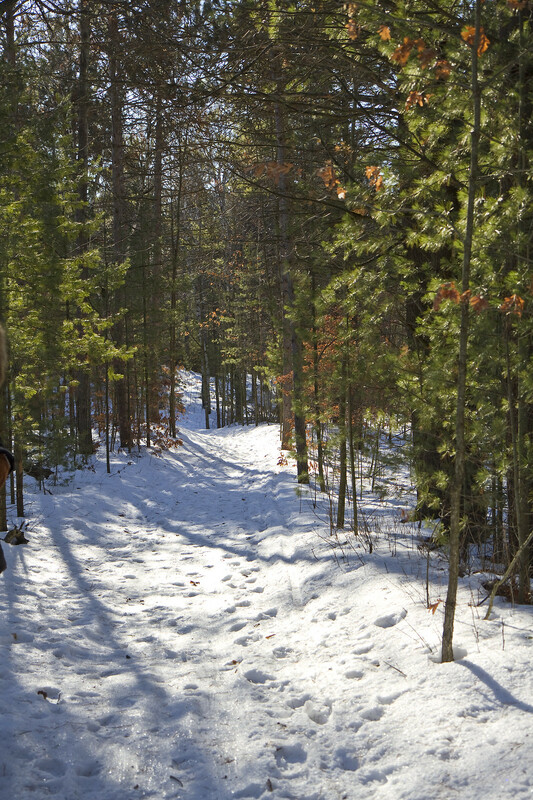 Early in January, my friend, Susan suggested a hike through the trails of Northumberland County Forest - about forty-five minutes from home. 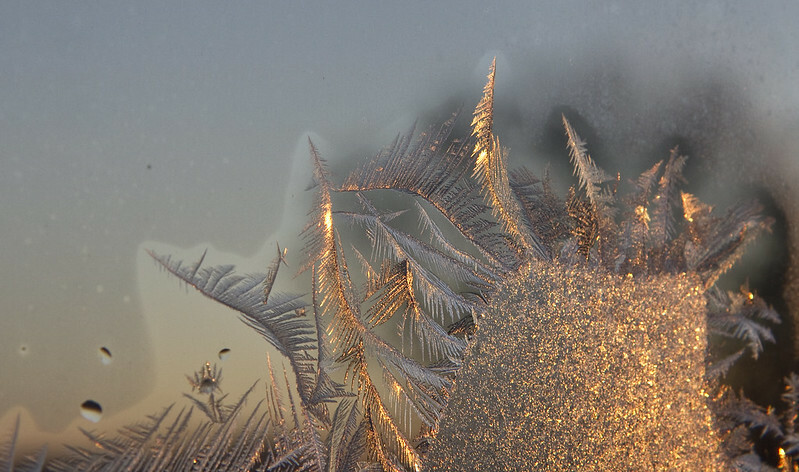 Below are my photos from that day, along with a few frosty window images as they appeared over the course of that week. The day started off sunny and very cold. 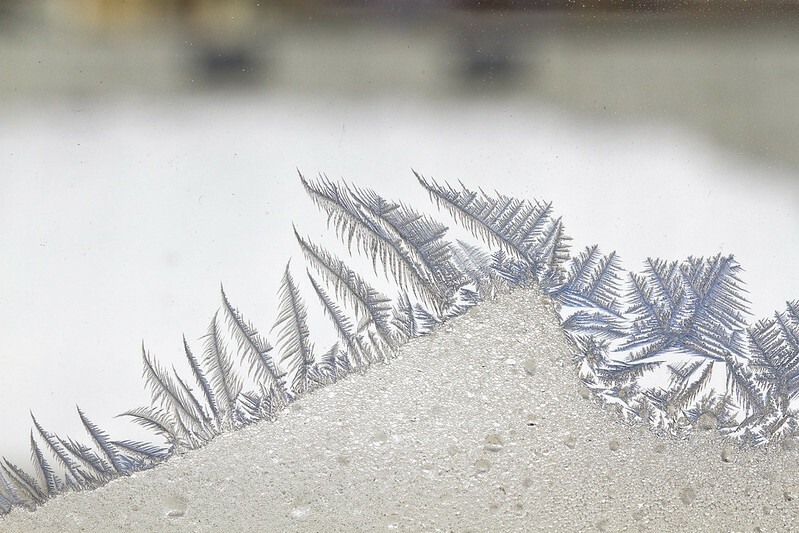 The frost on my window seemed eager to greet the morning sun. As we headed south, we wondered if we were in for some interesting weather. A huge wall of clouds appeared like a small mountain range, silently punching its way into the sky. It was a pretty cold day (-14C/7F) with an even colder windchill. You can see how icy the fields were. We weren't sure exactly where we were going to end up and once we arrived, we had difficulty finding the hiking trails anywhere near a logical place to park. So we kind of broke the rules and walked along the cross-country paths instead. The snow was very hard - icy, even and so we we knew we weren't going to be ruining any smooth skiing trails for anyone who came behind us. 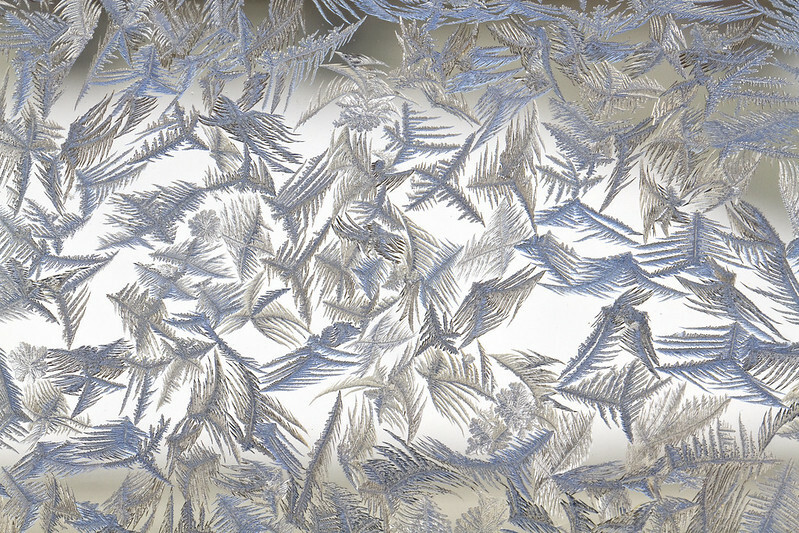 The sun was strong but lacked the power to coax the frost from my windows at home. 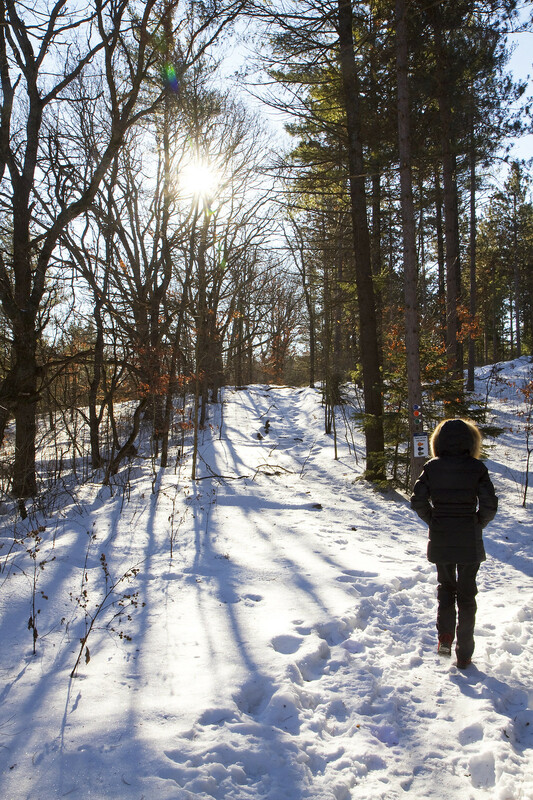 A January deep freeze is undaunted by the vague, warming rays of a faraway spring. Susan led the way and when faced with a fork in the road, wisely avoided the path less taken. And yet - that didn't stop us from getting a little lost. Trails were not as clearly or logically marked as we thought and so we found ourselves zigging instead of zagging a time or two. 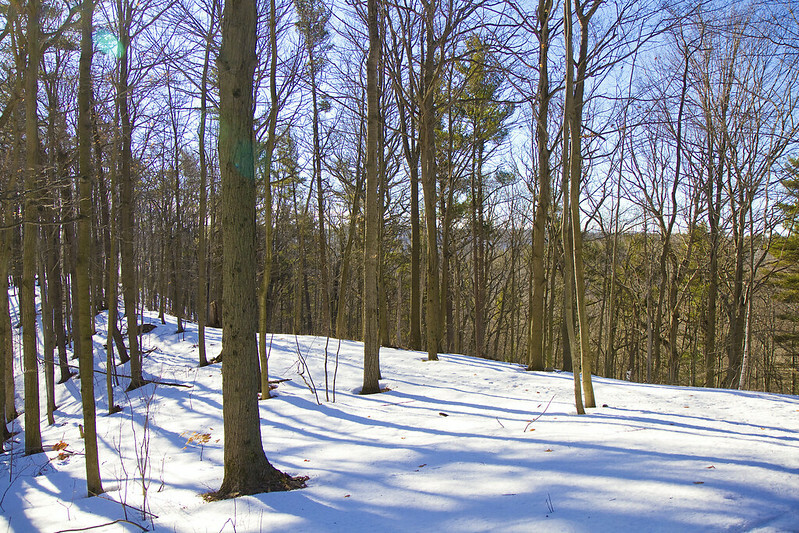 One of those zig brought us up a steady incline overlooking much of the forest. You can see what we assumed was Lake Ontario in the distance. 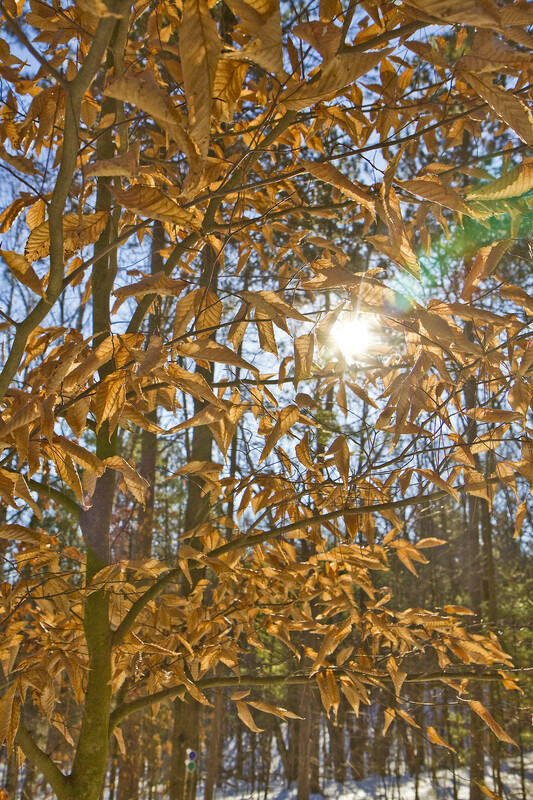 The sun shone brightly from behind the hardy leaves of a beech tree. Meanwhile, back at home, fairies celebrated their alone time by dancing and flying across my window panes. 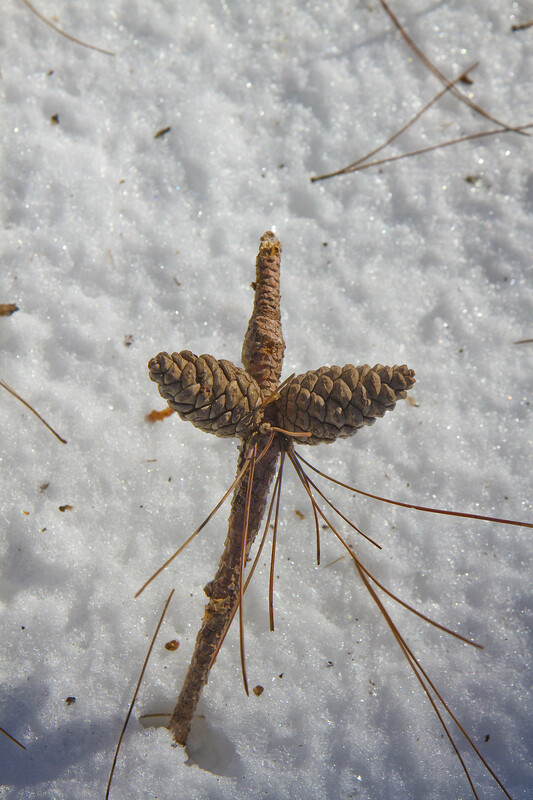 A little pine cone branch set in the snow suggested that someone else might have thought it wise to mark their path. 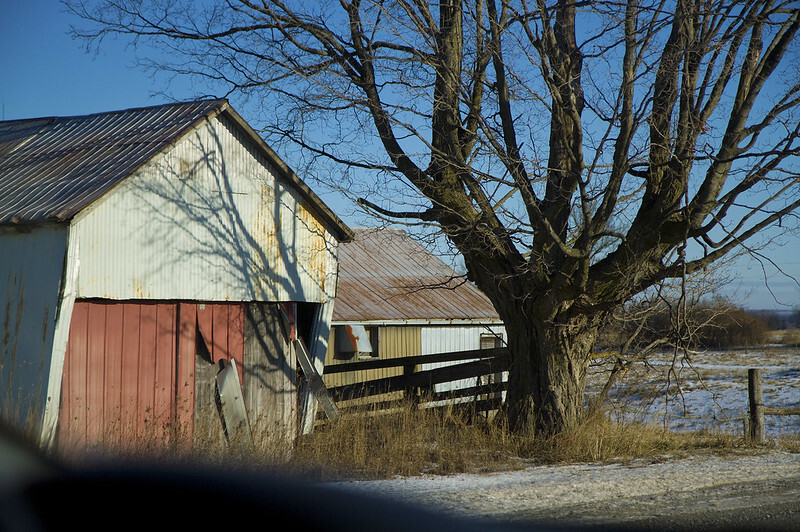 Heading back home, Susan was driving so I took the opportunity to snap a few "drive-by shootings." 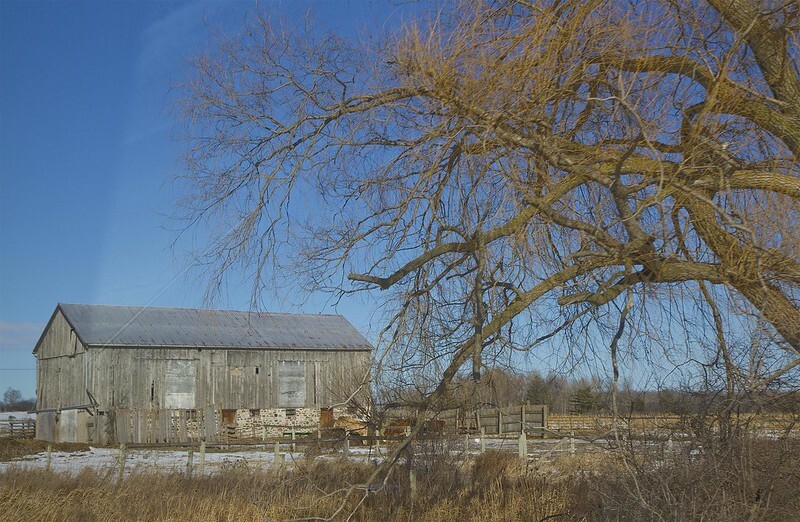 There's something about an old barn that tends to catch my eye. 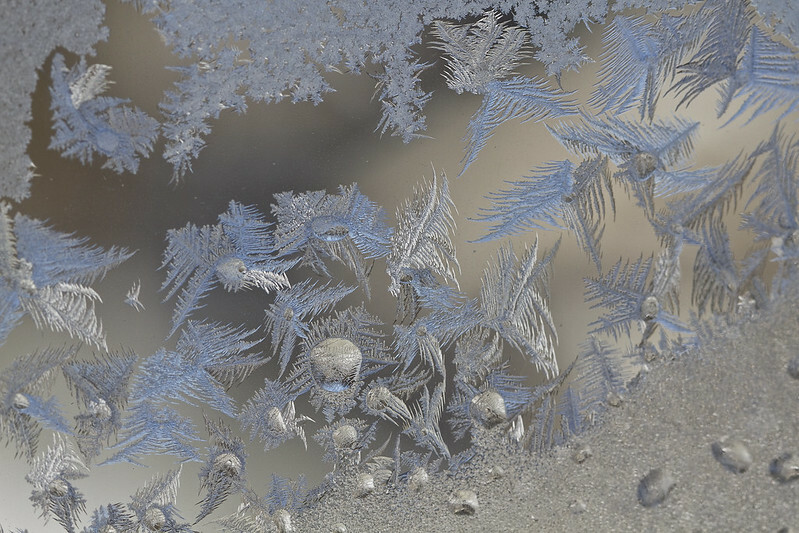 While we motored along and explored the Ontario countryside, icy feathers teetered and swayed while exploring the terrain of a frosted window. A brief sighting of an old tree and aging structure will live on in a digital capture as we zoomed by. There's a lot going on in this image despite my having noticed very little of it when I clicked the shutter. The body of water is Rice Lake. I'm thinking that this place had a dock or two to dismantle and pile up for the winter, and probably a few boats to move to storage. 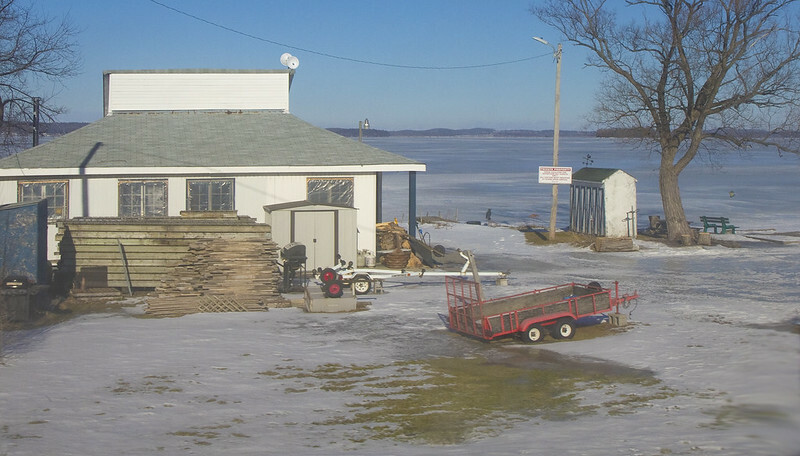 Aside from some trailers, I see a barbecue, several propane tanks, a wheelbarrow, a bench looking out over the water, a bird feeder hanging near the bench, a weather vane on the small shed and a faux owl just to the right of the permanent section of the dock. The sign tells me that this place is part of the cottage and boat rental spot called Adventure Bay in Gore's Landing. 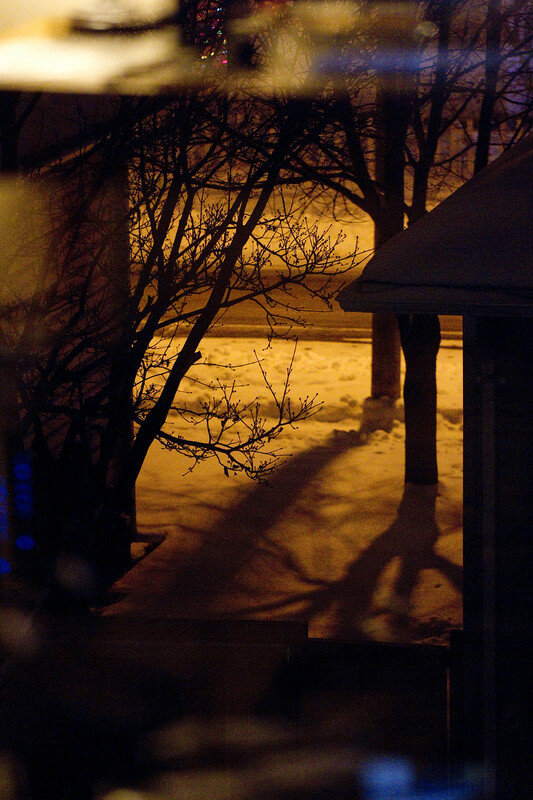 Nightfall also offers a moody view through my third floor window, though this one was taken back in December as you can tell by the Christmas tree lights. 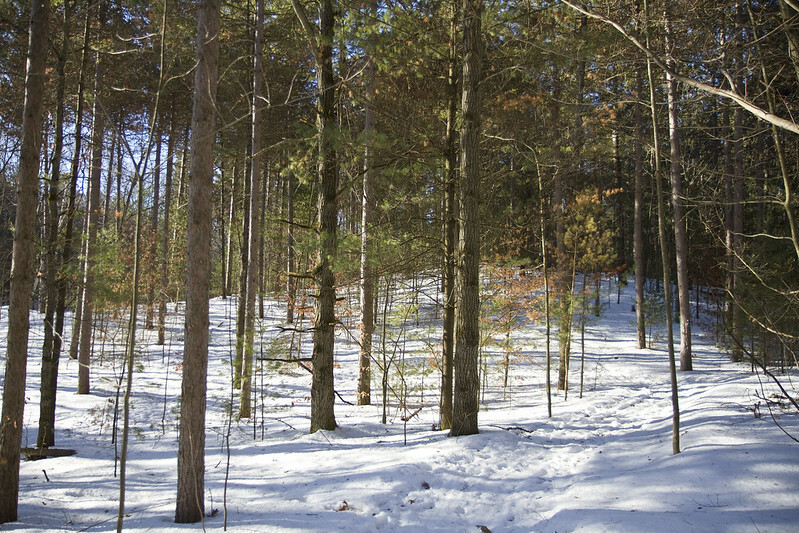 I will be back before too long with more snowy pics, as our winter persists. As you might have noticed, from time to time, I like to put aside some photos and possibly revisit a couple of older ones which make up a theme of sorts. This is one of those time. 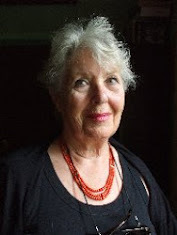 The blog post title is one of Nobel Prize winner, Bob Dylan's pieces. And the quotes beneath each of the following photos are all from that song. 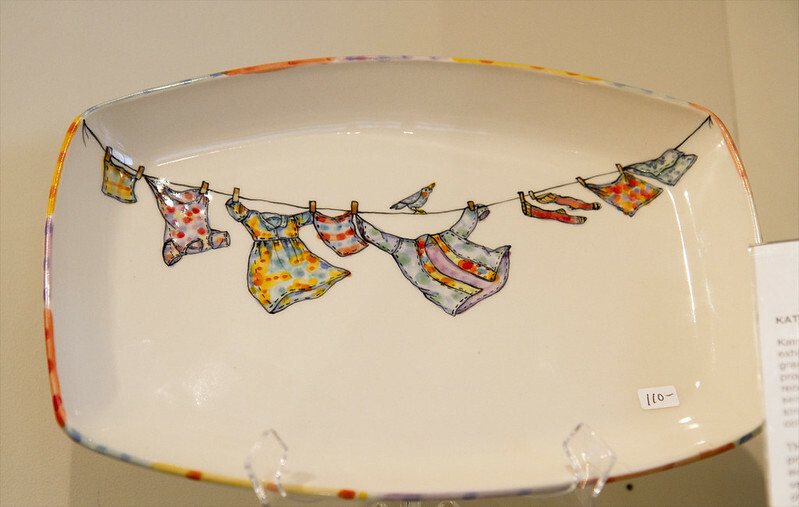 This is a ceramic dish I saw at the Art Gallery of Peterborough, and it's what gave me the idea of a clothesline/laundry theme. Thomas Aitken designs the ceramics and Kate Hyde does the whimsical art. I hope you enjoy my version of laundry day. Don't worry - I won't ask you to fold. 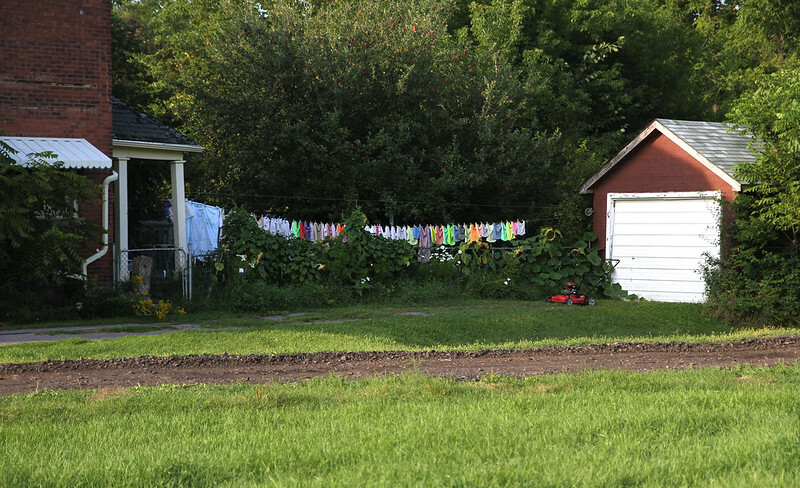 Laundry drying in the fresh country air. As you can see the sun was setting and so it needed to come in before too much longer - though it probably stayed there until morning. Someone else asked "what do you care?" 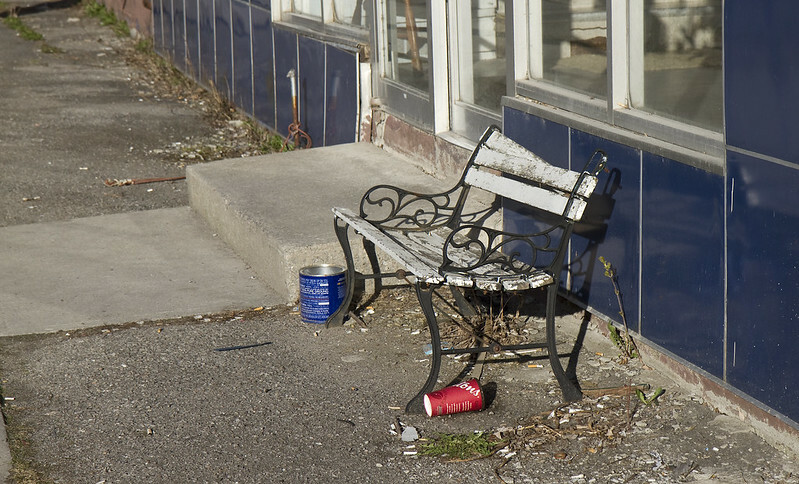 Papa said "well, just because"
A bench outside of a laundromat here in Peterborough. I've posted this image before but at that time, I opted to display it in black and white. 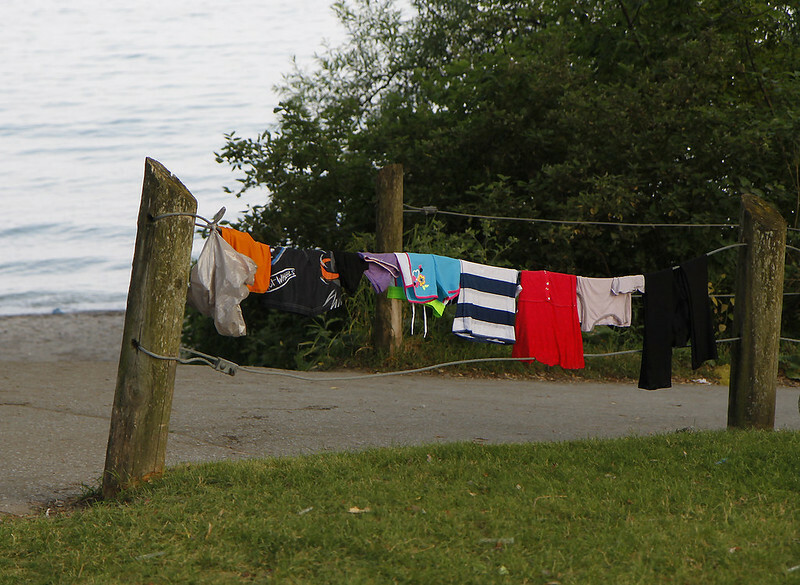 I see this clothesline full of items regularly when I walk down to the lake. 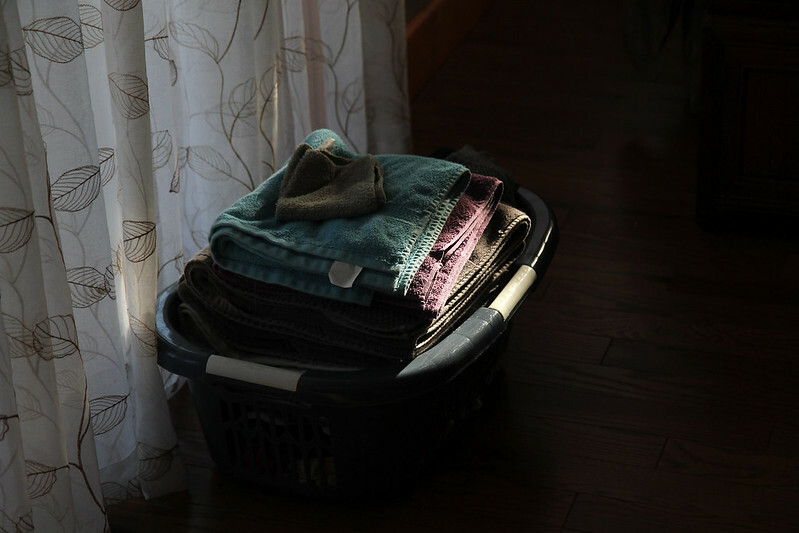 It seems like most days are laundry day at their house. 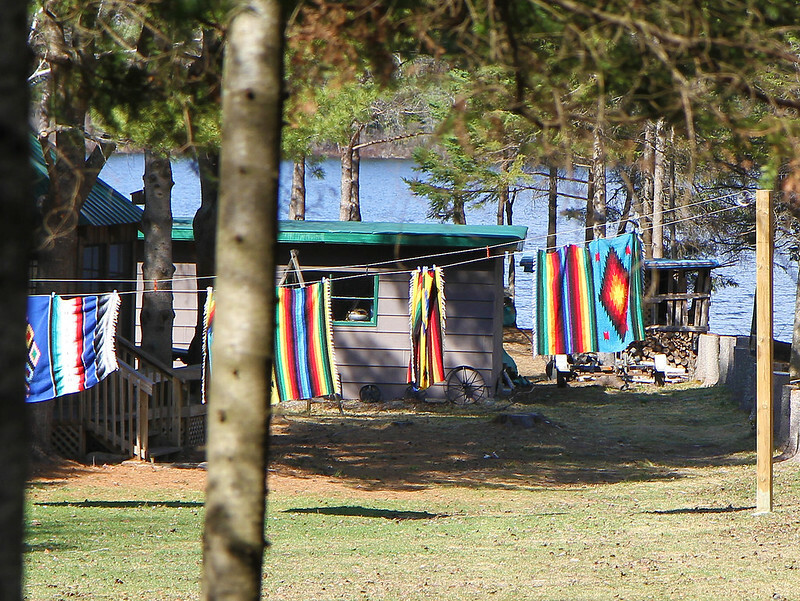 Mama, of course, she said "hi"
These colourful towels belonged to Liz and Ron - my seasonal neighbours just down the road when I lived up on the lake. They're lovely, kind people. This photo was taken in May of 2015. I think they were just settling in for the summer. "Where?" "downtown" "when?" 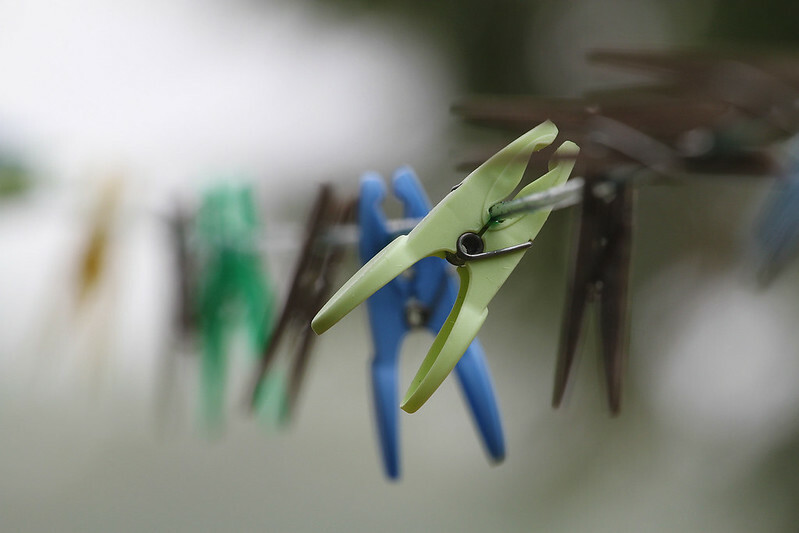 "last night"
Colourful clothespins dancing in the wind. 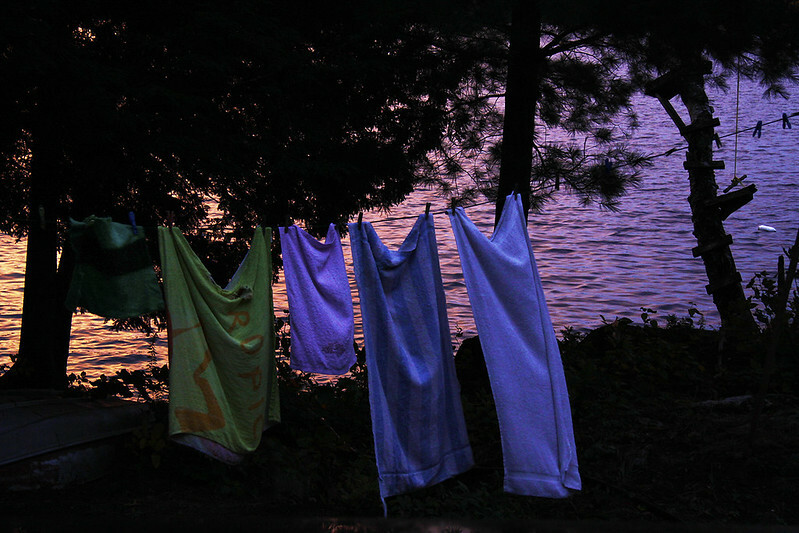 Another clothesline by the lake. And yes, the towels were probably still wet. And the neighbor said "are those clothes yours?" I said "some of them, not all of them"
He said "ya always help out around here with the chores?" This was in a public picnic area in a park near a walking path on the shores of Lake Ontario in Ajax. I said "sometimes, not all of the time"
Peterborough showed support with over 7000 bras which adorned the walls of a local radio station for the 6th annual Bras Around the Building fundraiser. The campaign raised over $16,500 for breast cancer research this year. 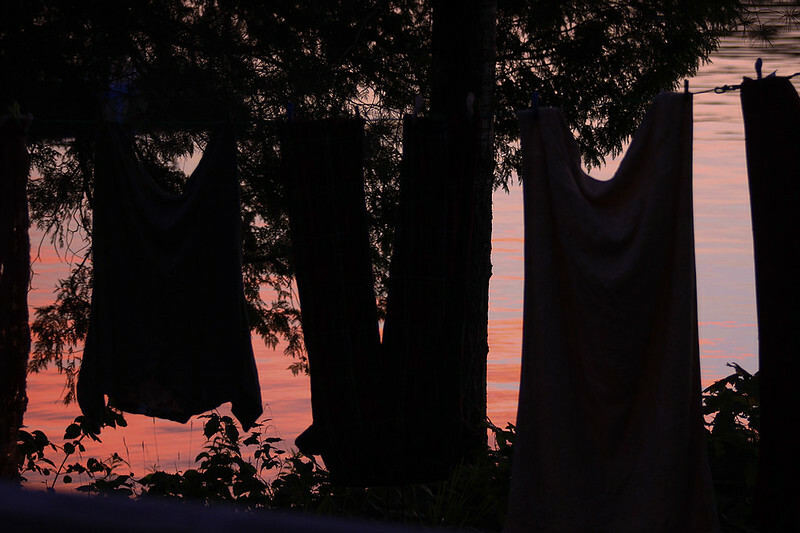 After the bras were all laundered, Seeds of Hope donated them to relief efforts in Haiti and Honduras.